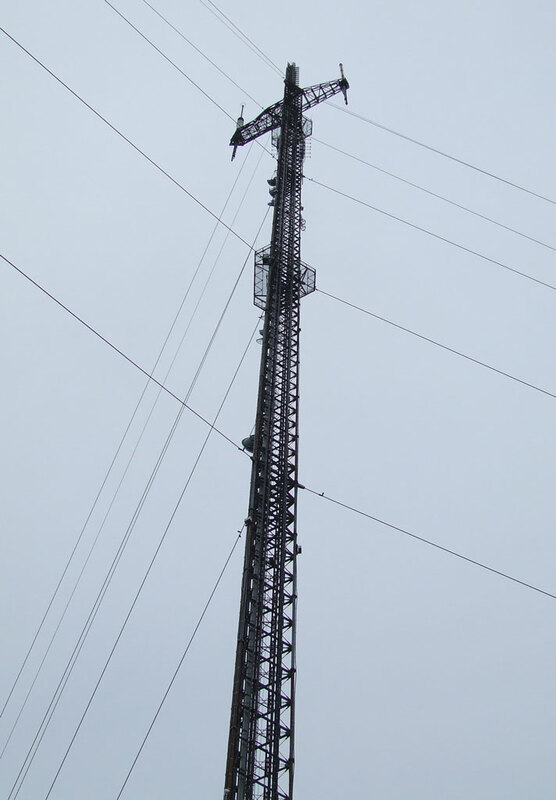 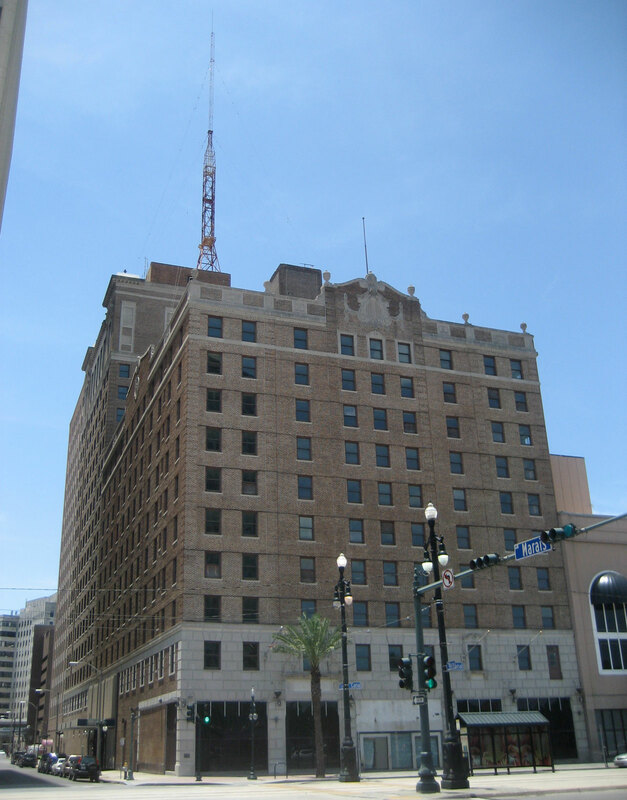 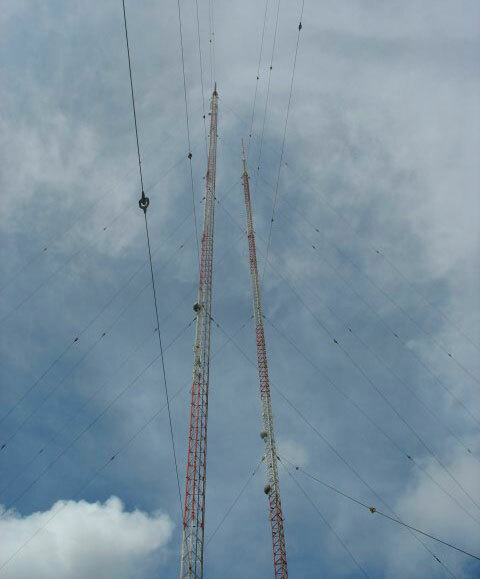 The building of Jung Hotel at 1500 Canal Street is home for New Orleans radio station WGSO-AM (990 kHz), which broadcast from the 310 feet (94 m) high antenna atop the building. 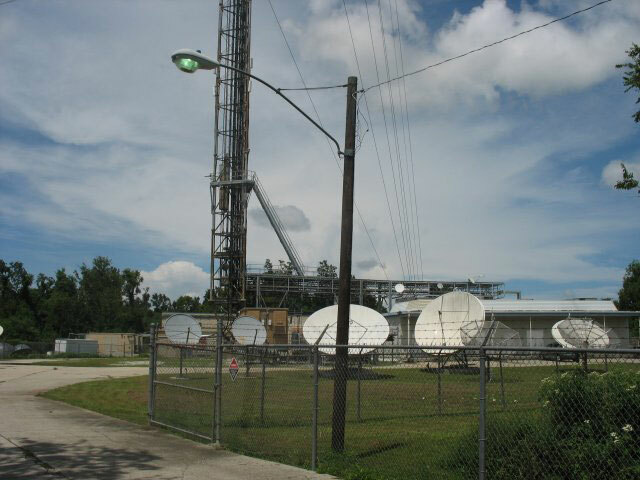 Located at 29563 Dicks Road in Vacherie, this tower is the tallest man-made structure in Louisiana. 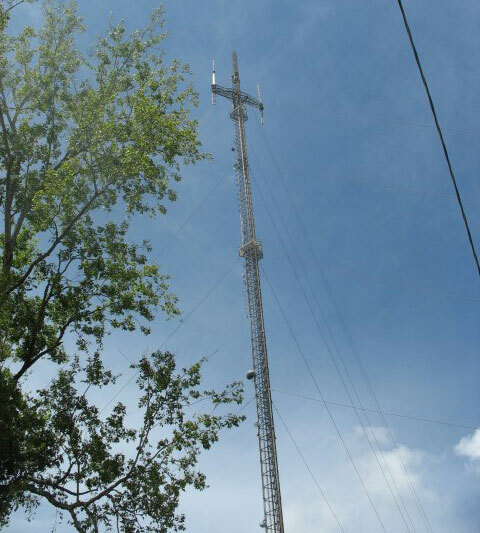 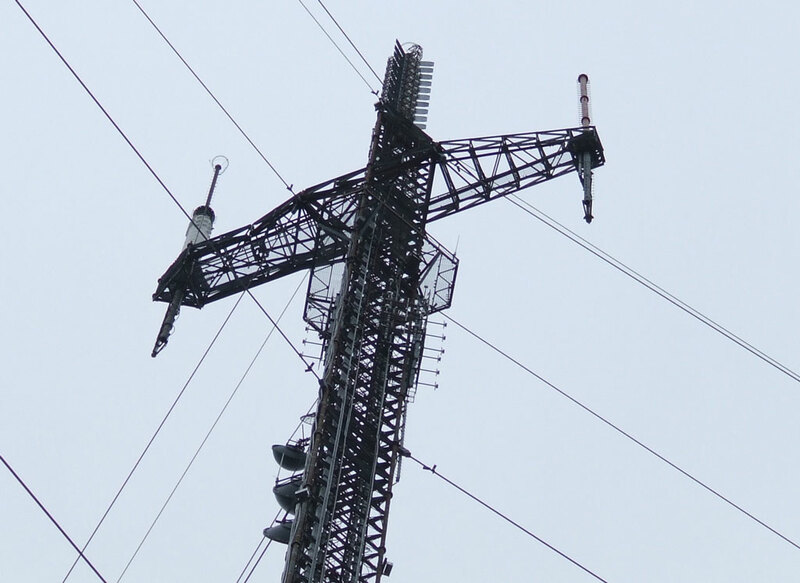 Coordinates: 29°55'13" N, 90°01'28" W ; Ground Elevation AMSL: -3 ft (-0.9 m), Antenna Height: 1034 ft (315 m). 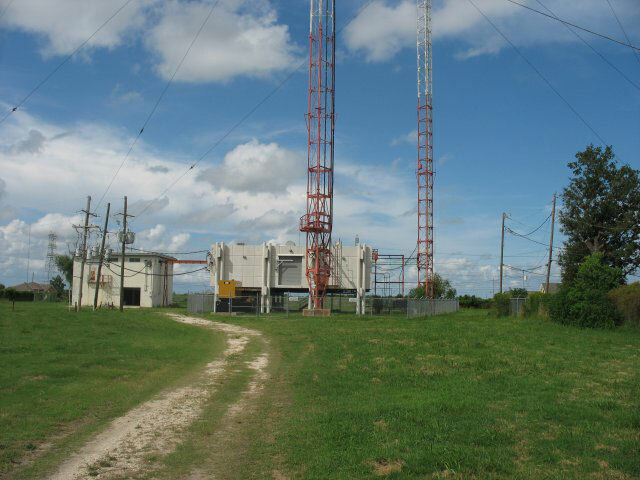 American Tower Corp. broadcasting tower (also known as The New Orleans FM Tower and previously Spectrasite or Lonestar tower) in Algiers on the westbank of the Mississippi River at 3210 Behrman Highway. 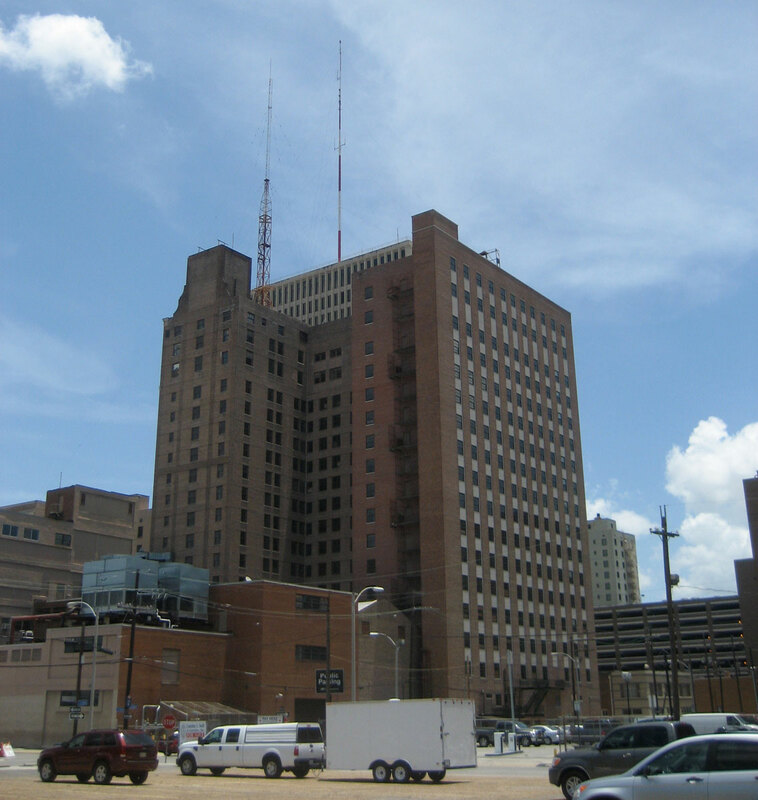 WVUE-TV (Fox Ch. 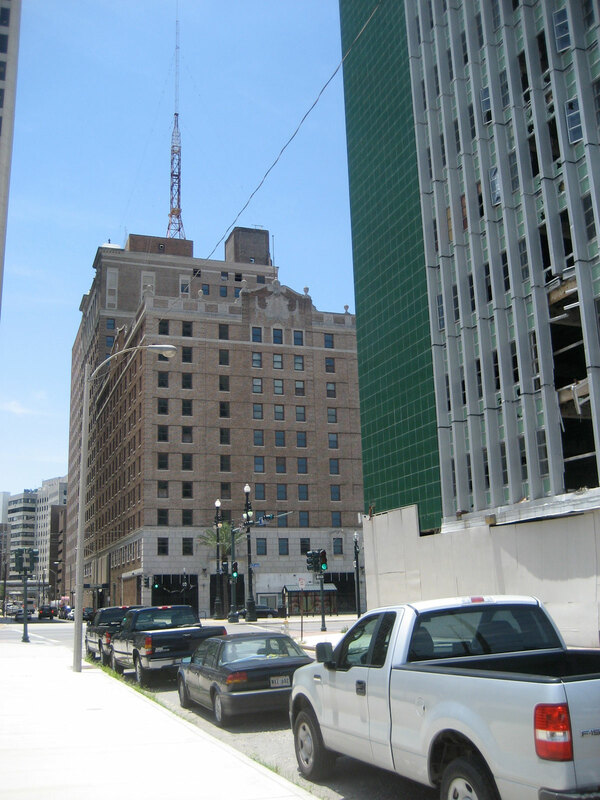 8) and WYES-TV (PBS Ch. 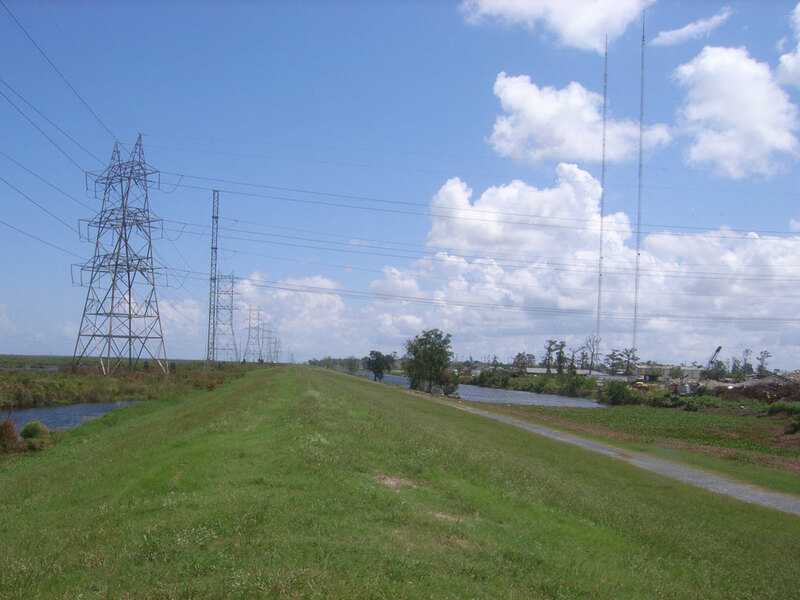 12) "twin towers" in Chalmette on the eastbank of the Mississippi River.